Sudan has so many permits that it will make your head spin. Just to go outside of Khartoum for any reasonable distance will require a permit. Because Sudan has such confusing visa processes, it is a poster child for the kind of countries I like to write about…those places that are so thick with their bureaucracy that you think there is no way in the world that you could get in. Well, guess what? You can definitely get in. 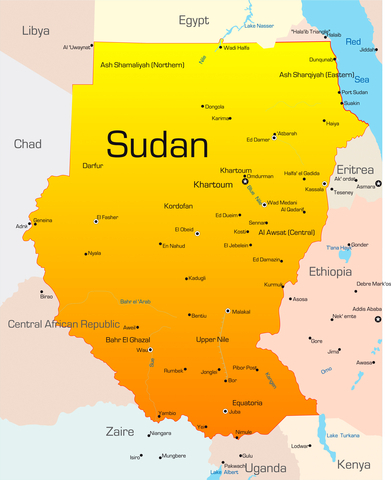 Getting a Sudan visa is not as difficult as you might think. If you are in the United States and want to call up the Embassy of Sudan in Washington D.C., be sure to have a lot of persistence with these guys. They don’t like to pick up the phone and will often send you to some dead-end extension where you will have to leave a message (and then keep your fingers crossed that your message will ever get returned). What I do is call 5 or 6 times straight, and I’m normally able to get someone on the phone after that. Don’t give up! Make these guys work!